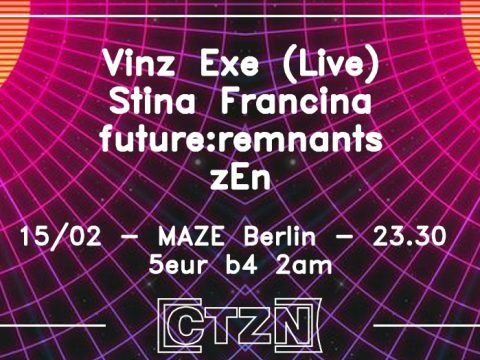 CTZN is back in its underground home at Maze, in collaboration with forward thinking female collective ÉCLAT Crew. 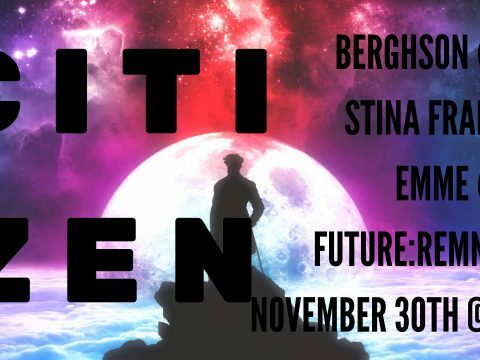 For this event we’re excited to bring you underground techno talent from Italy, Sweden, UK, and Syria to get the floor going all night. We have something very special for you for Citizen 2.0 as we welcome the Italian live techno performer Vinz Exe from the legendary Naples scene, playing his first ever Berlin show.